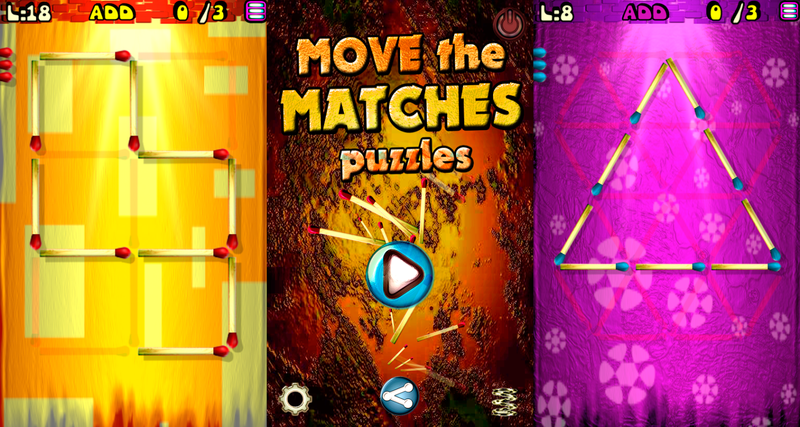 Matches Puzzle is a popular puzzle game, made by Bojan Klabjan, that involves moving matches to solve puzzles. In each level you will be given some shapes made from matches and you will have to add/move/remove matches to make new shapes or solve equations. The levels are quite easy at the beginning of the game, and they involve moving of 1-2 matches, but as you play the game you will have to move more matches and this will make the task of finding the solution harder and harder. So if you are stuck at on of the levels in a episode you came to the right page, just choose the level you can't pass below. i have cleared episode 11 but struck at episode 12 level 40, it seems really impossible to solve as the designer did not give the way to solve it. Two aquares top right vertically. Then, two squares bottom left horizontally. And the fifth one at top left. Anyone have an answer for episode 12 level 90? why there are no more solutions after episode 10 online?